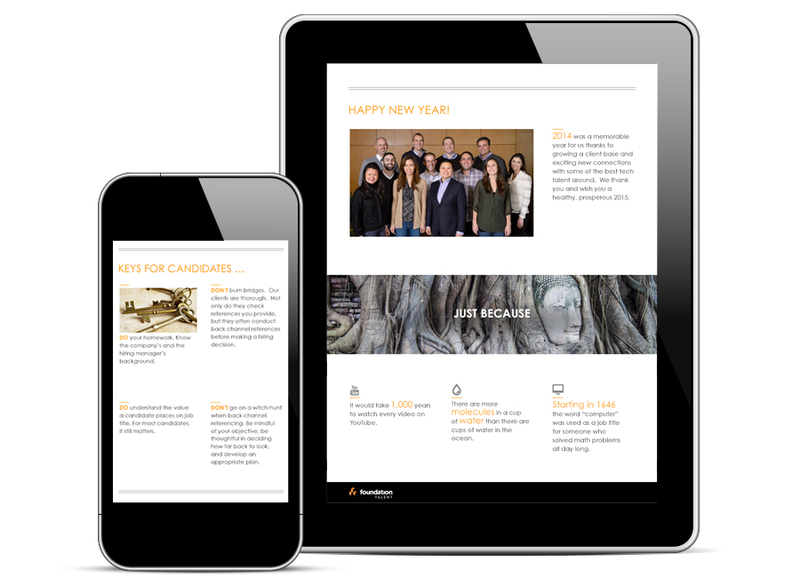 Promote regular engagement with both clients and prospects. 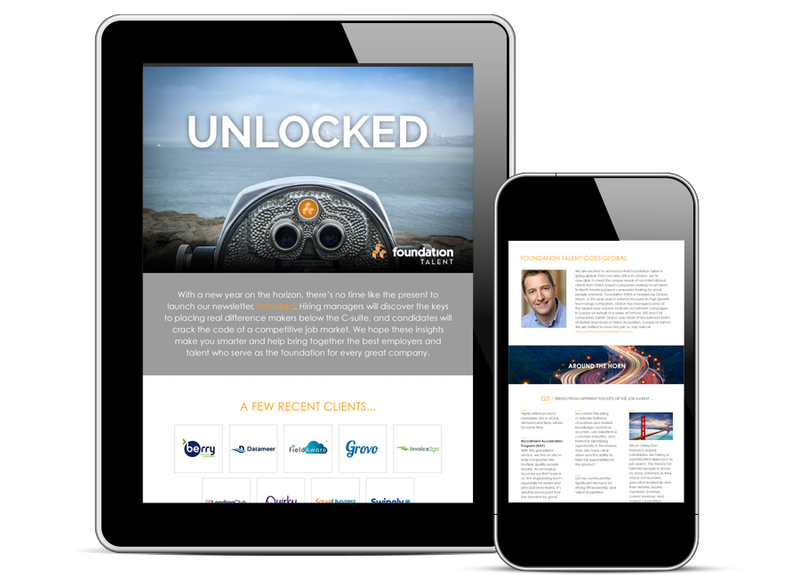 Foundation’s Unlocked e-newsletter regularly delivers cutting-edge insight about the development of key talent for high tech/high growth companies. Specializing in Venture and PE-backed firms, Foundation seeks to bring its unique industry point of view to a rarified audience of the most progressive, innovative business and technology thinkers around the world to foster dialogue and “stir the pot.” It’s also a great platform for new developments at Foundation and the occasional batch of fun facts.